This storied domaine, run with passion and skill by Luc and Lucienne Cartier, has been farming and making wine organically for decades. Their gorgeous property in the beautiful countryside appellation of Les Baux de Provence yields powerful expressions of Grenache, Syrah, Mourvedre, Carignan, and more – not to mention olives (their oil is one of France's finest), and incredible fruit and vegetables. 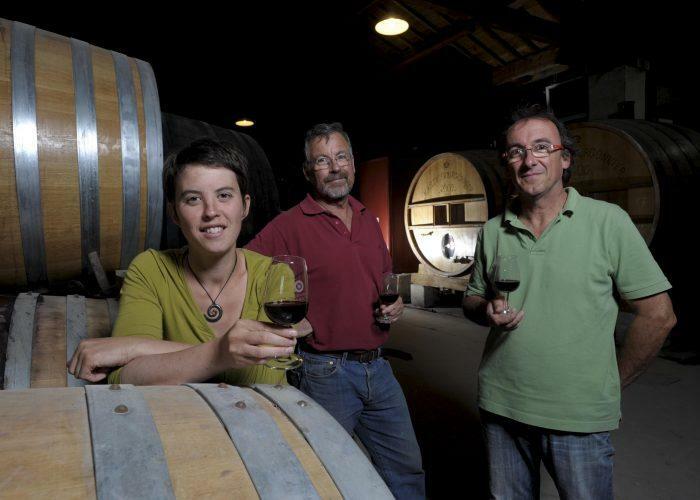 Luc and Lucienne's wines combine the richness and intensity of top Rhone or Bordeaux with a crystal-clear and unmistakable expression of Provençal soil. They set themselves apart even further from the pack with the eye-grabbing rustic, squat bottle used for their unbelievably great-value red.